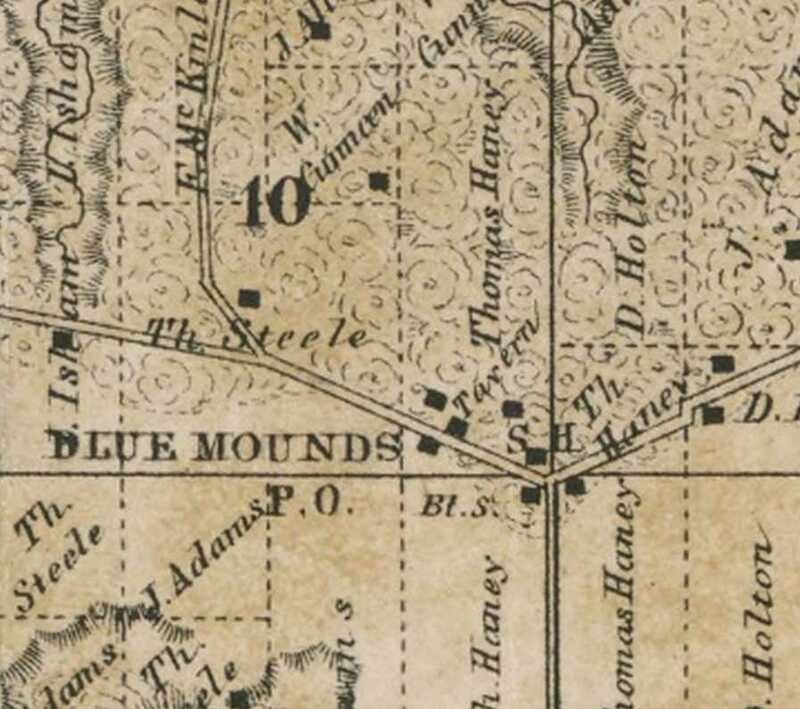 Began in 1859 as Blue Mound (no "s") Post Office. Thomas Heeney was postmaster. It closed from 1866 - 1868 when it reopened with Oliver Kegg as postmaster. It closed in 1881. 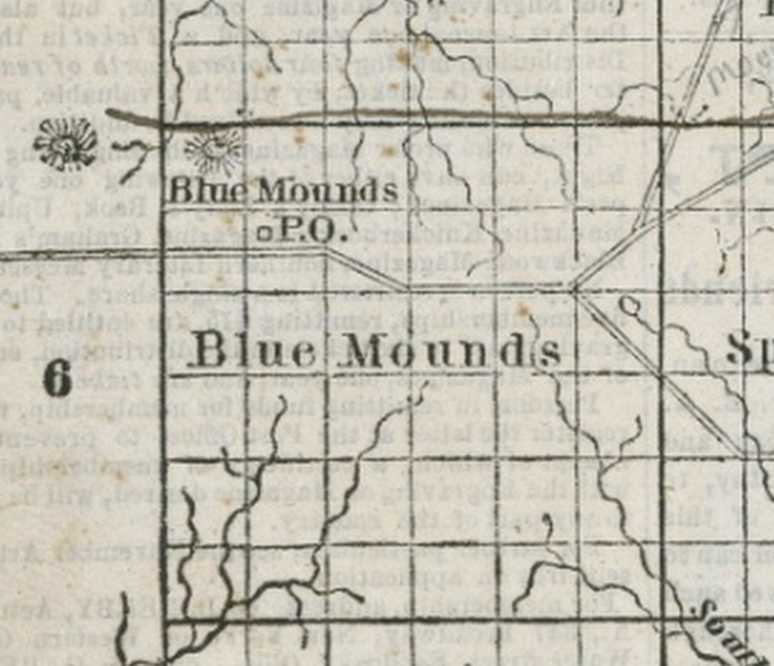 Noted as Blue Mounds Post Office in section 10 on the Blue Mounds Township page of the 1861 plat map. However the 1861 page of Dane County shows the post office in section 8 near/on the Ebenezer Brigham farm. 1861- corner of sections 10, 11, 14, 15 at junction of County ID and Erbe Rd. 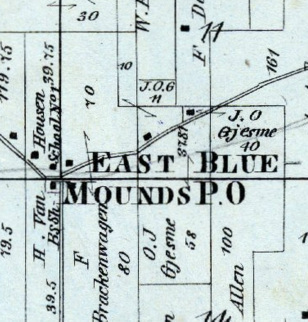 By 1873 (see map to the right) both East and West Blue Mounds Post Offices are noted. In the 1877 Madison, Dane County and surrounding towns published by Wm. J. Park & Co., Blue Mounds had a post office as early as 1828. He goes on to say the there was never an East Blue Mounds Post Office. It was just called Blue Mounds Post Office. He also says that West Blue Mounds Post Office was in Iowa County. (formerly Hwy 18/151) and Hwy. 78 S.